As the Burlington, NC, iSalon team we are dedicated to providing our guests with high quality spa treatments, salon services and products. 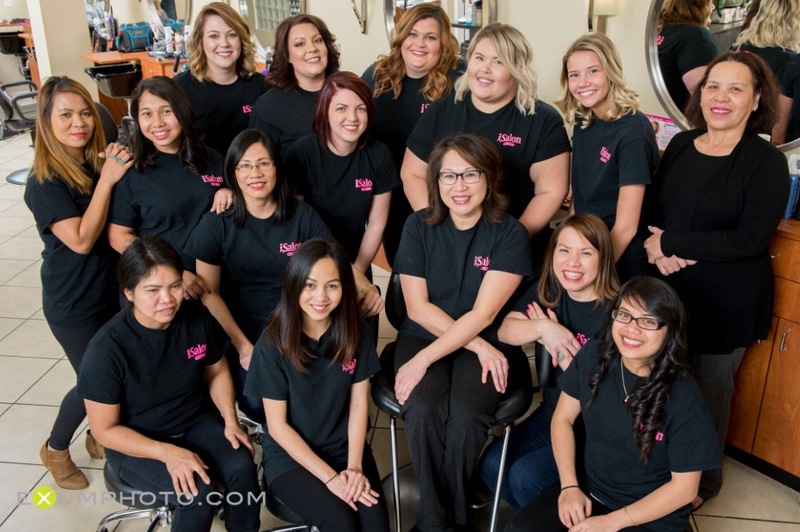 We are committed to providing you with an upscale, salon experience that is built around your needs. To make every experience at iSalon special, we take time to listen to you and what you have in mind and then create the style that suits you. The owner and manager of iSalon is Yvette Joyce. Her specialty is color techniques, highlighting and natural color matching using the Wella Koleston Color Specialist Program. In addition to her skills with hair, Yvette also performs nail procedures such as gels and SNS. The iSalon team believes in always growing and learning more about their processes and procedures. To do this, we take frequent continuing education classes and learn to apply new techniques. As one of Burlington, NC’s premier salons, we believe that we owe it to you to always keep up with the latest trends in hair, nails, and spa services. However, iSalon of Burlington is more than just a salon and spa. We are passionate about Breast Cancer Awareness. Each year, our team works diligently to raise money for the research and treatment of breast cancer. We host raffles, Cut –a-thons, and many other community endeavors so that we can donate towards the elimination of this disease. If you would like to know more about our fight against breast cancer, visit our salon and follow us on social media. So, don’t just come to iSalon to look beautiful – though we are happy to be a part of helping you shine. Come help us make a difference in the lives of women everywhere by being a part of the fight against breast cancer. Talk to us today.